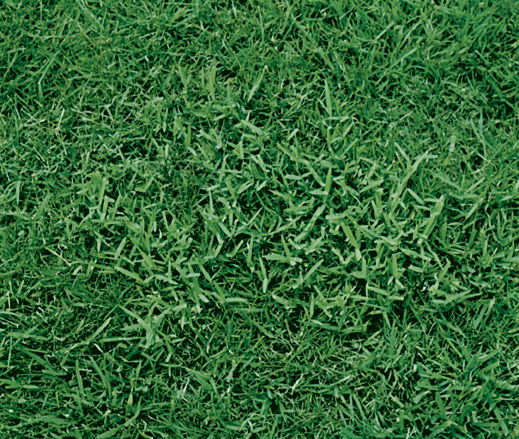 Tell the Truth – Will the Real Crabgrass Please Stand Up? For all you folks out there who are as old as me, you remember the old TV show that had two imposters trying to get chosen over the real person based on the answers to questions from the celebrity panel. Will there are more than two crabgrass imposters to confuse lawn owners, and this time of year it is easier to figure out the culprits. The reason is crabgrass is an annual weed that germinates when your soil reaches 55 degrees (here is a link to a soil temperature map for your area). Unless you live in South Florida, it is unlikely you have mature crabgrass plants in your lawn right now. 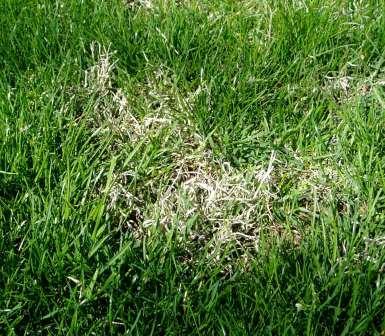 So this means that if you are looking at a big old grassy weed in your lawn now, whether it is green or brown, it is likely one of those crabgrass imposters that crabgrass prevention application will not control. Some of the most common perennial grassy weeds are: Coarse Fescue, Quackgrass, Nimblewill, Timothy Grass, and Orchard Grass to name a few. 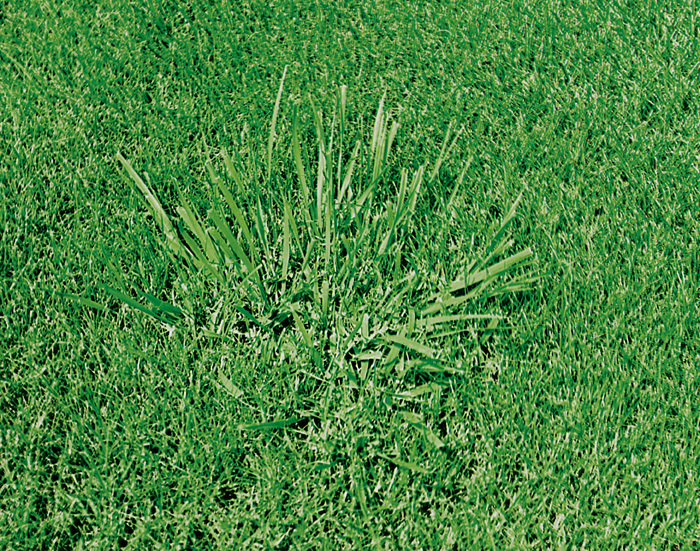 Nimblewill is a little bit tricky so it very frequently gets confused with crabgrass. The reason is even though Nimblewill is a perennial, it goes dormant in winter taking on a brown color until around May. So folks think it is dead crabgrass. Be sure to look at both the early spring picture of dormant Nimblewill and the summer pictures showing actively growing Nimblewill. I have some good news for you. Roundup Gel makes it a lot easier to kill the grasses you want to kill without killing the grasses you want to keep especially if they are growing taller than your good grass or in a “patch”. As with all Roundup products, you still need to be careful not to spray your good grass. And more good news, you can seed those spots in 7 days after spraying. 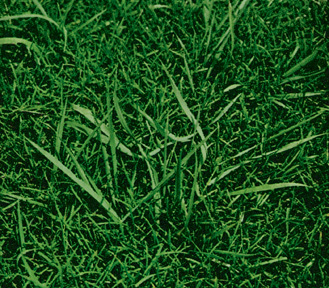 Dormant Nimblewill in Early Spring is often confused with dead crabgrass. Roundup will kill it once it begins growing in Late Spring. Sounds like Sandbur. This weed is more of a problem in southern lawns where it lives year round. In northern lawns it is more of a summer annual that dies in winter (like crabgrass) See if you can find a picture on line and compare. This is a hard weed to control with a weed killer that will not kill your good grass, so spot treatment is more commonly used. If it is more of an annual in your area, sometimes you can get some prevention with your crabgrass preventer. The best thing is to get your lawn thicker by feeding it regularly and mowing taller. Hope this helps. Hi Wilma Tell me where you are located and the kind of lawn you have so I can help you figure out your weed. Hi Wilma This helps narrow it down. I can narrow my guess down based on your location. You may have dallisgrass. This is a tough perennial grassy weed to take out of your lawn without hurting your good grass. Take a look at some of the pictures online and learn more about it. Roundup spot treatments can be done with great care as this will also kill your good grass. Hope this helps. Hope I got it this time Wilma. Good luck with your lawn. I have a problem with crabgrass and dandelions help. Since Crabgrass is an annual weed that has not germinated yet in many areas, ou can prevent for this year with an application of Turf Buider with Halts around the time of your first mowing. Dandelion is a perennial weed that grows back in spring from a tap root, which means you need to wait until it is actively growing to treat it with either a weed and feed like Scotts Turf Builder Weed & Feed or to spray with Ortho Weed B Gon MAX. Hope this helps. « Does Your Lawn Gather Moss?